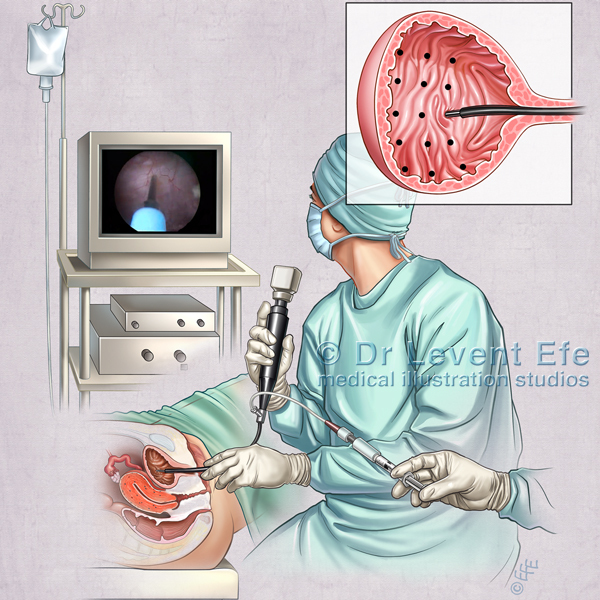 The artwork illustrates a specialist injecting Botulinum toxin into the Bladder wall. Botox injections are commonly used for treating Overactive bladder, also known as Neurogenic Detrusor Overactivity (NDO). SKU: URO02. 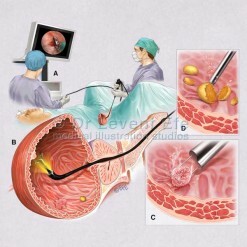 Category: Urology (URO). Tags: bladder, Botox, BotulinumToxin, detrusor, incontinence, NeurogenicDetrusorOveractivity, OveractiveBladder, urinaryIncontinence. 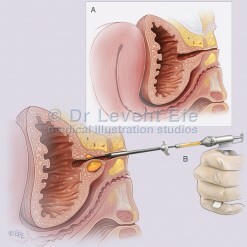 Medical illustration depicting Intravesical Botox Injection in Over Active Bladder (OAB). Botulinum toxin A is used for the treatment of urinary incontinence due to NDO in adults who have an inadequate response to or are intolerant of anticholinergic therapy. 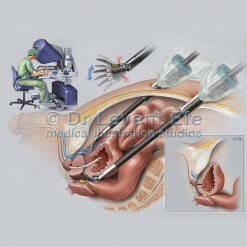 This illustration is a perfect visual tool for physicians in educating patients on this procedure.